There is probably nothing in business more valuable that good strategic planning. Unfortunately, there is nothing that wastes more time than bad strategic planning. Organizations too often spend a lot of time working on an annual planning process only to have the plans quickly fade away until the following year’s process begins. Because of this, too many companies get frustrated and drop the process rather than finding a way to make it more effective. An effective strategic planning process enables companies to take control of their future and remain focused on the critical areas that will result in sustained periods of growth and success.Here is the 9 steps strategic planning for Small and medium global Business . By definition, strategic planning is a process by which an organization’s leaders define and implement the strategy to achieve the company’s fundamental purpose. 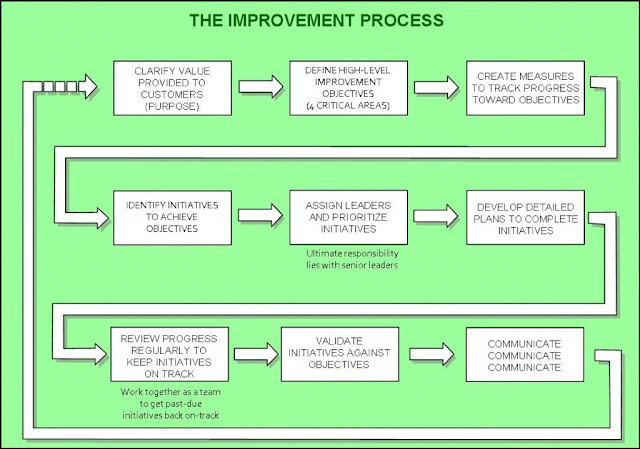 The output of the process is a set of high-level objectives (i.e., critical improvement areas) and initiatives (specific actions, to achieve the objectives). Inherent in this definition is the ability to turn strategy into action. Although, by itself, the planning process tends to improve communication within the management team, increase knowledge of the company and its markets, and cultivate teamwork, it is the action – i.e., actually achieving the objectives – where the value resides.Especially with small entrepreneurial organizations, senior leaders have little time to spend on anything that doesn’t provide clear benefit.An effective strategic planning process can, however, provide the clarity and focus that is often forgotten in small companies – especially those with very little bench strength. To be effective, it is necessary to clarify and understand the expectations of the planning process. As mentioned above, the process must absolutely include a basis for action. The plan must also provide a clear and consistent focus, a platform for involvement of team members, and a method for communication.Although the depth, frequency, and specific process used will differ for every company, there are some basic elements that greatly increase the chance of success. First of all, the organization must have a clearly defined purpose, including a mission (which keeps the plan grounded) and a vision (which provides a consistent direction for planning). Objectives and initiatives are the components of the process that bring the vision to reality.Also included in an effective process are key indicators, which measure the organization’s success in achieving the objectives. This absolutely requires that the indicators be directly linked to the high-level objectives. If the indicators are not linked to the objectives, then you either have the wrong indicators or the wrong objectives. viii. Take action when necessary (based on the review) to get the organization back on track toward achieving its key objectives. ix. The systems are also important and must be assessed in the development of a strategic plan. Throughout the implementation of the strategic plan, it is important that the results are monitored and compared to the plan. In terms of strategic marketing, the level of sales, market share and profitability are the crucial succes s factors and this information must be available to the managers on a regular basis. This will enable remedial action to be taken and revisions to be made to improve the chance of success.Throughout the strategic planning process, it is important that all the aspects of the business are considered. As marketing is a crucial element in the whole strategic plan, it must be considered within each element of the strategic planning process.